(18) Overvelde, J. T. B., Mixe, M., Hoberman, C., Weaver, J., Bertoldi, K., (2018). ReBot: Untethered Reconfigurable Multi-gate Robotic System Constructed from Foldable Building Blocks. In preparation. (17) Vasios, N., Gross, N., Soifer, S., Overvelde, J. T. B.,* Bertoldi, K.,* (2018). Inverse Design of Soft Robots that Harness Viscous Flow for Simplified Actuation. Submitted. (2) Overvelde, J. T. B., (2018) Programeerbare Metamaterialen. NTvN, 243-245. (1) Abramovic, V., Glynn, R., Overvelde, J. T. B., (2018) Edge of Chaos: Towards intelligent architecture through distributed control systems based on Cellular Automata. ACADIA conf. proc. "Frankie - The artificial starfish" (Mar 2018 - Oct 2018), exhibition at Rijksmuseum Boerhaave, Leiden NL. "Edge of Chaos" (Dec 2017 - Jan 2019), exhibition on world tour at (WoeLab in Lomé TG, La Gaîté Lyrique in Paris FR; Cinekid in Amsterdam NL; KIKK Festival in Namur BE). "Morphing Crystals" (Dec 2017 - Apr 2019), exhibition at Rijksmuseum Boerhaave, Leiden NL. (41) Grob, Bart. 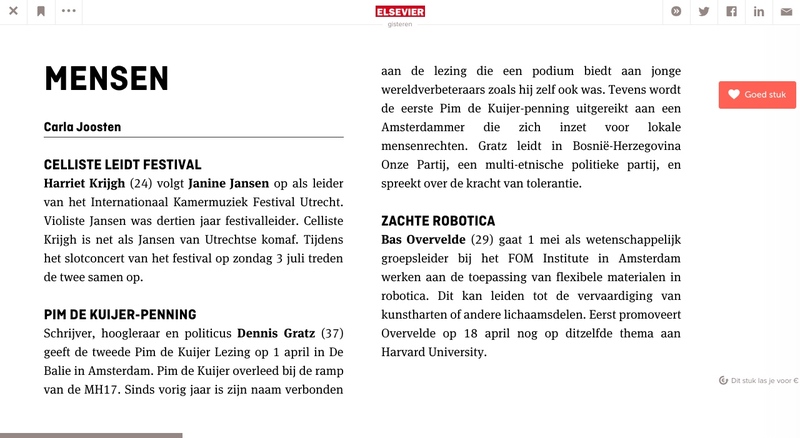 (2018) "Het zachte robothart van Bas." De Vrolijke Frankenstein 16 March. (37) Van Calmthout, Martijn. (2017) "Aan tafel met Frankenstein - De gemaakte natuur." Talk show Museum Boerhaave - Nacht van Kunst en Kennis 16 September. (28) van Laake, L., Overvelde, J. T. B., (2019). 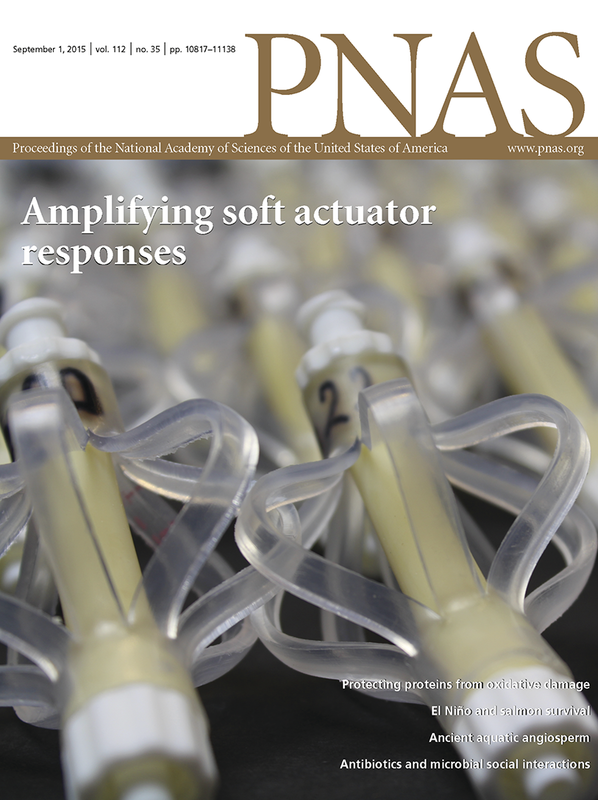 Mechanically Programmable Sequential Actuation of Fluid-driven Soft Actuators. APS March Meeting. Boston, United States. Presentation. (27) Iniguez-Rabago, A., Li, Y., Overvelde, J. T. B., (2019). Computational Design of Mechanically Multistable Prismatic Metamateirals. APS March Meeting. Boston, United States. Presentation. (26) Oliveri, G., Overvelde, J. T. B., (2019) Inverse Design of Mechanical Metamaterials that Harness Instabilities. APS March Meeting. Boston, United States. Presentation. 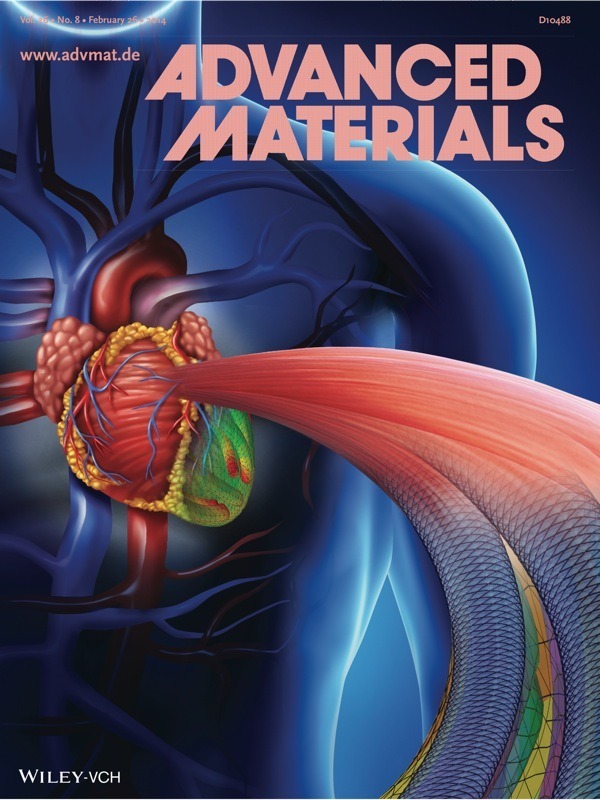 (25) Oliveri, G., Overvelde, J. T. B., (2019) Inverse Design of Mechanical Metamaterials that Harness Instabilities. Physics@Veldhoven. Veldhoven, Netherlands. Poster. (24) Oliveri, G., Overvelde, J. T. B., (2018) Inverse design of mechanical metamaterials that harness instabilities. SES. Madrid, Spain. Presentation. (23) Iniguez-Rabago, A., Li, Y., Overvelde, J. T. B., (2018). Finding the Mechanically Stable States of Prismatic Architected Materials. Solvay. Brussel, Belgium. Presentation. (22) Oliveri, G., Overvelde, J. T. B., (2018) Reprogramming the elastic properties of mechanical metamaterials by amplifying imperfections. Solvay. Belgium, United States. Presentation. (21) Iniguez-Rabago, A., Li, Y., Overvelde, J. T. B., (2018). Finding the Mechanically Stable States of Prismatic Architected Materials. APS March Meeting. Los Angeles, United States. Presentation. (20) Oliveri, G., Overvelde, J. T. B., (2018) Reprogramming the elastic properties of mechanical metamaterials by amplifying imperfections. APS March Meeting. Los Angeles, United States. Presentation. (18) Iniguez-Rabago, A., Li, Y., Overvelde, J. T. B., (2017). Finding the Mechanically Stable States of Prismatic Architected Materials. Soft Matter Meeting. Enschede, Netherlands. Soundbite presentation. (17) Oliveri, G., Overvelde, J. T. B., (2017) Reprogramming the elastic properties of mechanical metamaterials by amplifying imperfections. Soft Matter Meeting. Enschede, Netherlands. Soundbite presentation. (16) Overvelde, J. T. B., Weaver, J., Hoberman C., Bertoldi, K., (2017) Rational Design of Reconfigurable Architected Materials. Metamaterials Conference, Marseille, France. Presentation. (15) Overvelde, J. T. B., Weaver, J., Hoberman C., Bertoldi, K., (2017). Rational Design of Reconfigurable Prismatic Architected Materials. American Physical Society Meeting. New Orleans, United States. Presentation. (14) Overvelde, J. T. B., Dykstra, D. M. J., de Rooij, R., Weaver, J., Bertoldi, K., (2017). Tension Instability in a thick elastic body. American Physical Society Meeting, New Orleans, United States. Presentation. (13) Oliveri, G., Overvelde, J. T. B., (2017). Reprogramming the elastic properties of mechanical metamaterials by amplifying imperfections. ICMS Complexity Science Winter School, Eindhoven, Netherlands. Poster. (11) Overvelde, J. T. B., de Jong, T. A., Becerra S. A., Shevchenko, Y., Whitesides, G. M., Weaver, J., Hoberman C., Bertoldi, K., (2015). 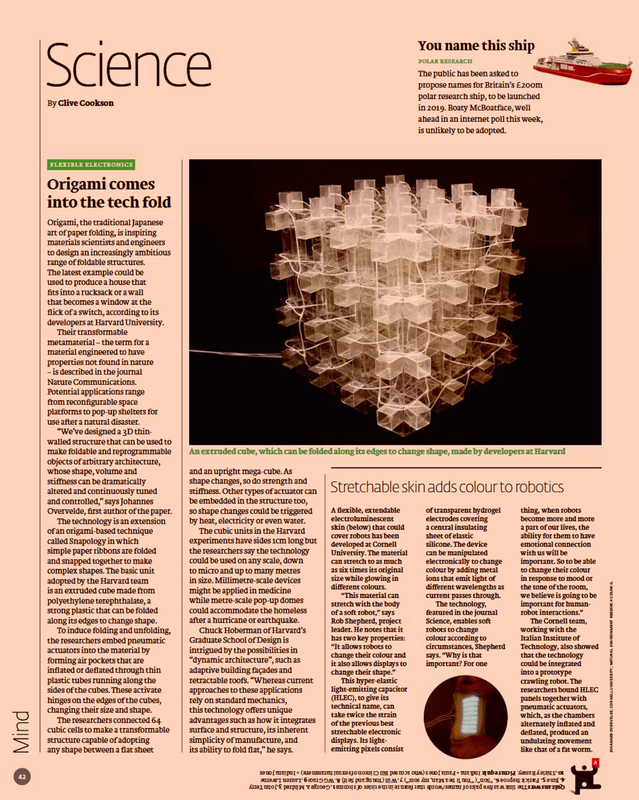 Transformable origami-inspired prismatic metamaterials. Wyss retreat. Boston, United States. Movie and demo. (10) Overvelde, J. T. B., Bertoldi, K., (2015). Amplifying the Response of Soft Actuators by Harnessing Instability. New England Workshop on the Mechanics of Materials and Structures. Boston, United States. Movie. (6) Overvelde, J. T. B., Bertoldi, K., (2014). Putting Soft Sensors to the Test. New England Workshop on the Mechanics of Materials and Structures. Amherst, United States. Movie. (4) Overvelde, J. T. B., Shan, S., Bertoldi, K., (2012). Compaction Through Buckling in 2D Periodic, Soft and Porous Structures: Effect of Pore Shape. New England Workshop on the Mechanics of Materials and Structures. Providence, United States. Movie.